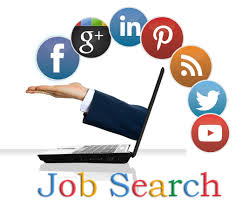 You should definitely use social media during your job search! Your presence on personal and professional social media can make or break your chances at finding, applying for, or getting the job you’re after. First thing’s first, educate yourself on social media etiquette. Don’t post inappropriate images. Try to remain neutral regarding overly opinionated content. Don’t complain about current or past employers! Do not post anything that could be potentially offensive or harassing. I’m sure you already know all of this, so we will just get straight to the point – wise use of social media networks can improve your chances of getting the job you want. Twitter, Facebook, and Instagram are strong networking tools and can certainly be used to make connections in your field. However, there is one social network that really stands out when you are job searching: LinkedIn. LinkedIn is an effective and powerful social networking tool that can connect you to professionals across multiple industries. It has expanded so much that you can follow employers you’re interested in, see what they are up to, and gain firsthand insight when they have positions available. You can even apply for those positions directly through LinkedIn! Wait – there’s more! You can actually create a search engine optimized (SEO) profile to allow employers and recruiters to find you when they have positions that fit your skill set. Just by looking through employers’ job boards and LinkedIn profiles, you can find the keywords they use most in association with the kinds of jobs you are pursuing. Include these in your LinkedIn profile and your profile will be among the search results when employers and recruiters look for those words and phrases. LinkedIn is a powerful tool for many reasons. You can use it to search for and network with employers, recruiters, and like-minded professionals. You can also optimize your profile to bring opportunities your way, just be sure that your audience likes what they see when they get there! If you need help creating a resume, cover letter, or LinkedIn profile that will get results, then please reach out to me at mary@resumeassassin.com or learn more on my website: www.resumeassassin.com.